Just to let you know that I received my order very quickly and am most pleased with the items. I was also pleased and delighted that one item I had ordered was not in stock so I was upgraded to a better quality item at no extra charge. I would recommend your service to all my family and friends. 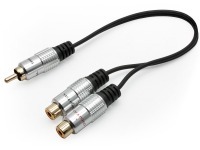 Please also check out our Digital Audio cables including TOSLINK Optical Cables and Coaxial Digital Audio Cables. If you're looking for a quality Subwoofer Cable, and not just a cheap Subwoofer Cable, then look no further! 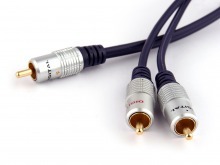 Subwoofer Cable products for the best quality AV Accessories at the lowest prices every day! Pro Series 20cm Single RCA (Male) to 2x RCA (Female) Adapter + FREE SHIPPING! Most Popular Subwoofer Cable! In-Stock & Ready to Ship! Did you know Cable Chick also have Wall & Ceiling Speakers?